What if I told you, there was somewhere you could go to see the the 1966 Batmobile, sample more than 120 craft beers, and see more than 6,000 vintage, classic and custom, muscle cars, race cars, and trucks – all in one stop? What if I told you you can win tickets to this event right here? 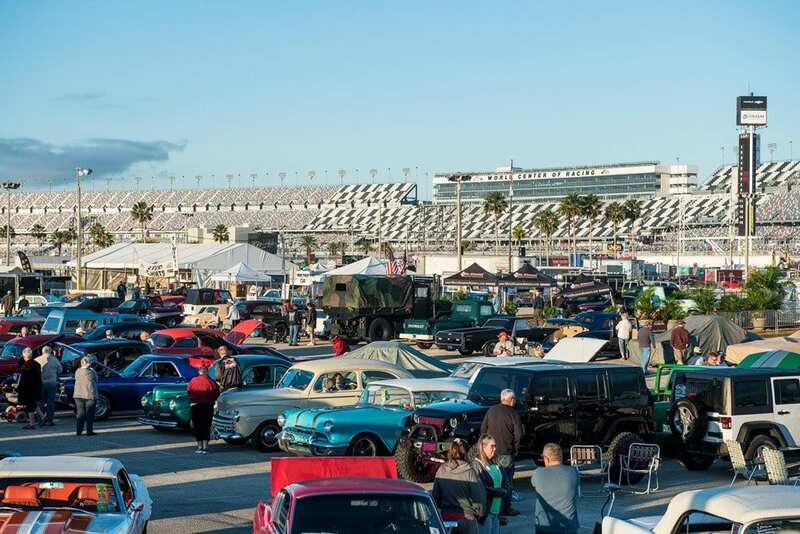 The 45th Annual Daytona Turkey Run kicks off at 8am Thanksgiving Day and runs through Sunday, November 25th at the Daytona International Speedway in Daytona Beach. 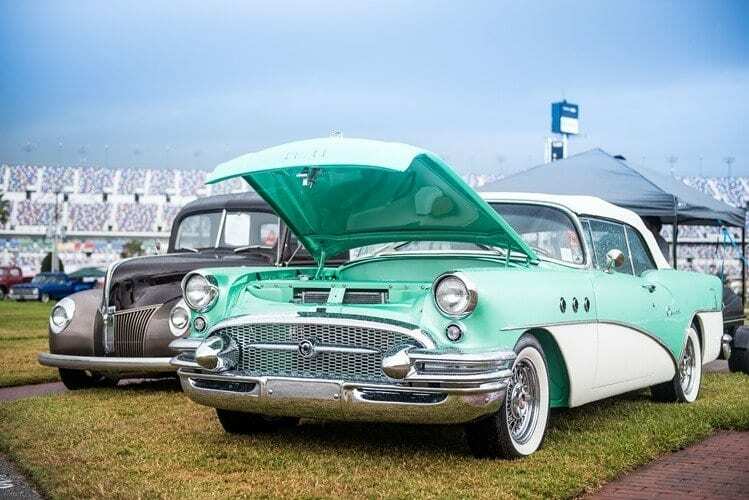 This is the largest combined car show and swap meet in the United States with more than 150,000 in attendance last year. 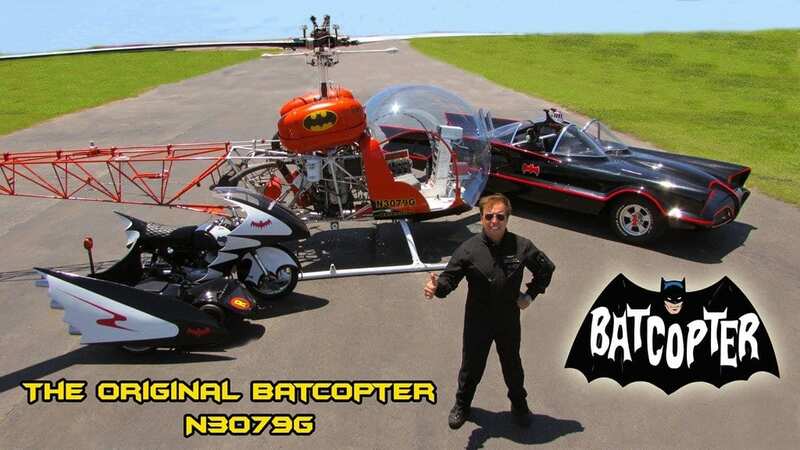 Batman Cars – The original Batcopter N3079G from the Batman TV series, the 1966 Batmobile, and the 1966 Batcycle will all be on display. Mecum Auctions Mobile Experience – Mecum is the world leader in live auctions of collector and classic cars. This is your chance to experience first-hand being in the middle of a fast paced Mecum auction through simulations and hands on activities. The Hops & Hoods Craft Beer Festival – On Saturday, November 24th from 12pm-4pm, sample more than 120 craft beers from 48 breweries. Must be 21 years of age or older to enjoy and samples are 4 for $5 or 10 for $10. You can purchase your sample tickets either in advance at www.turkeyrun.com or inside at the show. Little Gobblers Play Zone – Keep the kids entertained at the Play Zone with bounce houses, an obstacle course, inflatable games, and more. All Little Gobblers Play Zone activities are free. Also be sure to visit Artisan Alley with a variety of fashion and art vendors as well as a midway area with some delicious food and drinks. Walk through more than 6,000 vintage, classic and custom muscle cars, race cars, and trucks on display and for sale. There is also a massive swap meet in which you will be able to seek out hard-to-find auto parts and accessories. The 45th Daytona Turkey Run is presented by White Diamond and is sponsored in part by Mecum Auctions and Spectrum. Admission is $15 Thursday through Saturday and $10 on Sunday. Children under 11 free. Free parking is available at the Speedway all four days. Show hours are 8am to 4pm Thursday through Saturday, and 8am to 2pm Sunday. Can’t make this one? The Spring Turkey Run dates have just been announced. It will take place March 22-24, 2019. For more information about the Daytona Turkey Run, please visit www.turkeyrun.com. To win tickets, enter through Rafflecopter below. Entries are very easy- just click the enter button below. You will have to enter your email address to enter the raffle but I will not sell your email nor add you to any email lists, including my own. Scouts Honor! Please just be sure that you are able to attend the event in Daytona Beach, Florida between the dates of November 22nd through November 25th. That’s all I ask. The contest opens Friday November 16th at 12:01am and will close Monday November 19th at 11:59pm. The winner will be chosen no later than noon on Tuesday, November 20th and notified by email as well as announced on this page. Good luck!! Receive 5 bonus entries if you tweet about the raffle. *I have been provided with tickets to the event and compensated for my post. All opinions are my own. Thank you for your support. All photos used in this post were also provided by The Daytona Turkey Run.